The C.R. Miller Memorial Match Play Invitational was started in 1974 by Ritchie Miller of Fox Chapel Golf Club in honor of his father, Charles R. Miller. The conduct of the event was soon turned over to the Association where it has continued to be administered. 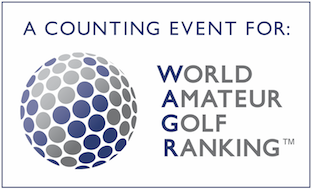 Since its inception the event has always consisted of four round of match play with the 16 top-ranked juniors from Western Pennsylvania being invited to participate. Frank Fuhrer, III, won the first event and the list of champions resemble an honor roll of junior golf in the region; Arnold Cutrell (1981), John Aber (1984), Brian Tutich (1993), Nathan Smith (1995), Justin Smith (1998-99), Mike VanSickle (2004) and William Miller (2005). Four Miller championship have gone on to win the West Penn Amateur - Frank Fuhrer, III, Brian Tutich, Nathan Smith and William Miller. Fuhrer, Nathan Smith and Cutrell also went on to win the West Penn Open. In 2009, Easton Renwick joined Justin Smith, a former standout on the University of Minnesota's National Championship team, as the only players to win the event twice. Early versions of the invitational had the low 16 players from the Junior Championship being invited, and often there were hole-by-hole playoffs conducted at the end of the championship to finalize the field. Additionally, the four semi-finalists were once selected to represent the Association in the Williamson Cup Matches. Today, players are selected for the Williamson Cup Team by the Committee based on their overall playing record in Association championships and their place on the Junior Honor Roll as well as their record in high school, state and national competitions.